This rental home is truly 'heaven on earth!' 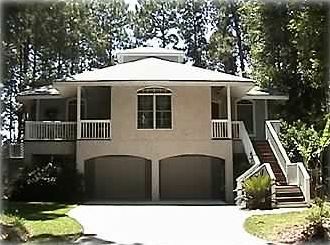 A secluded and private setting ideally located on Fripp Island. Not only is this home situated on a fabulous lot, the inside is unbelievable! This is not your typical beach house. 374 Yellow Tang is a home. A home beautifully decorated and stocked full of luxuries you'd never image in a beach rental! Inside you'll find hardwood floors, HD cable service, Smart TV's, wireless internet service, new costal interior and furnishings, new beds, a beautiful crib, changing table and a well stocked kitchen. Just a few of the necessities of home! In the garage you'll discover a pool table, a two person sea kayak, and two, four seated golf carts. You just can't imagine how great this home is! We live in Atlanta and three wonderful girls! Fripp Island has been our home away from home for many years. We were married in 2001 and had a week long celebration on Fripp. We enjoy spending time with all our family on Fripp when ever we can! Two four (4) seated golf carts and four (4) amenity passes included.